Peter has extensive business experience across a wide variety of industries and scale ranging from startup through public company environments. He is a creative entrepreneur with wide-ranging experience in developing innovative technologies for global markets having founded and grown numerous technology and commercial ventures. Peter’s business interests and experience span early stage technology commercialisation through distribution, boutique retail and eCommerce. He invented the core technology, founded and led high-tech company ChronoLogic Pty. Ltd. before repositioning the assets for divestment. In 2004 he co-founded The Electric Room, one of Australia’s first online retailers of professional audio recording equipment. This included development of the company’s eCommerce platform at a time when the industry was in its infancy. In 2007 he co-founded Magenta Audio, a high-end hi-fi distribution company. In 2009 Peter advised on the structure and business plan for a medical records startup, iDataMap Pty. Ltd. and took a leadership guidance role. In 2014 he co-founded Longwood Audio and acquired the assets of the Halcro high-end audio amplifier business. Peter received his PhD in Physics from the University of Adelaide. Prior to founding ChronoLogic, he held positions of Senior Laser Physicist at Norseld Pty. Ltd, an Australian medical laser manufacturer as well as Guest Scientist at the Department of Metallic Materials, University of Bayreuth, Germany, working on high-power lasers for material processing. Peter has extensive experience with the invention and intellectual property protection process, laser physics, materials processing, mechanical and electronic systems. He has invented numerous patented technologies and managed the entire process from invention capture through drafting and examination. Peter holds over 50 international patents and is the driver behind the reinvention of Halcro. An obsessive collector and listener of music. Mike’s CD and record collection spans two rooms. If the house ever caught on fire, he would grab his Nick Drake Vinyl boxed set, his wife and the 2 dogs (in that order). Mike was born in 1967 and has been working in the Hifi industry in Australia and the UK since he was nineteen. A musician at heart, over the years Mike has taken sabbaticals from hifi to indulge his true love, touring in old vans fronting various bands. In the early 2000s he set up The Electric Room; a Pro Audio retail website, mainly so he could buy cheap gear for his own studio and also because his mother in law thought he should have a ‘real job’. In 2007 Mike returned his energies back to his true obsession – “Hi fidelity”, setting up Magenta Audio in the Adelaide Hills and in recent years has focused the business towards the distribution of a few ‘hand picked’ brands, notably PS Audio, Zu Audio, Audion and Metrum Acoustics. Mike bonds with customers in a way that most retailers could never do and many of them become close friends. Over the years Mike has observed that many audiophiles end up on an expensive merry-go-round simply because they are chasing something that their systems will not do properly – and that’s ‘play music’. Many just get the wrong advice in the first place, or end up with poorly set up, poorly matched systems. Many rely too heavily on technical specifications and unnecessary details, which tell nothing of how a system can transport you with music. Musical reality is the only measure of a hifi system! Lance began working for Halcro before day 1. He worked closely with Bruce Candy on every element of the original dm58 amplifier long before Halcro became a company. Lance joined the Australian Army as an electronics apprentice at age 16. After 9 years service he left to begin a civilian career with Minelab Electronics. Starting as a test technician he moved on to be part of the product development team where he meet Bruce Candy. The two soon formed a close bond, becoming firm friends and an extremely effective development team. Over the following years Lance also helped Bruce on many side projects including an extremely low noise and highly efficient power supply, a high power ultrasonic cleaner and what would later become the Halcro dm58. Lance drifted between Bruce’s special projects and Minelab where he took the lead on the development of their industrial metal detectors. 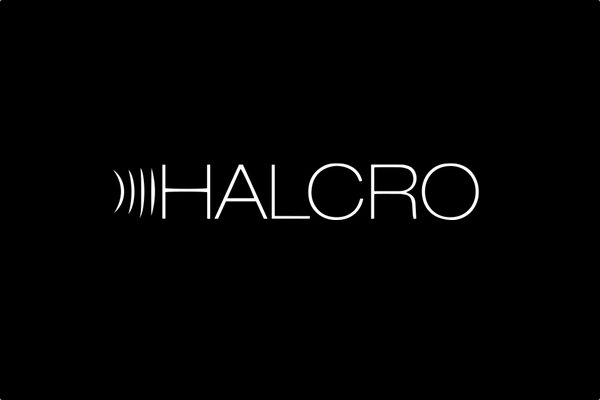 Once it became clear the amplifier design had progressed to the stage where a company could be built around it Lance jumped at the chance to become Halcro’s first employee. He continued work on its development until the release of the dm58. Lance then worked with Bruce on every Halcro product until the parent company was acquired by an other owner in 2010 when activity ceased. Lance then worked as a PCB and mechanical designer for a radio equipment manufacturer but continued to keep the Halcro dream alive by offering service to existing Halcro amplifier owners. A chance meeting in a second hand record shop with Mike and Peter led to discussions about creating a high end amplifier company. Lance knew exactly where the remains of Halcro where and who owned them so he simply commented, “Well I know where you can buy one”. The rest is history. Lance is not a full-on audiophile, although after hearing the Eclipse ESL’s this has changed a bit. He loves the Halcro brand. It gives him the chance to work on the best products of their kind. Lance often says “it would be terrible to have to get a real job”.